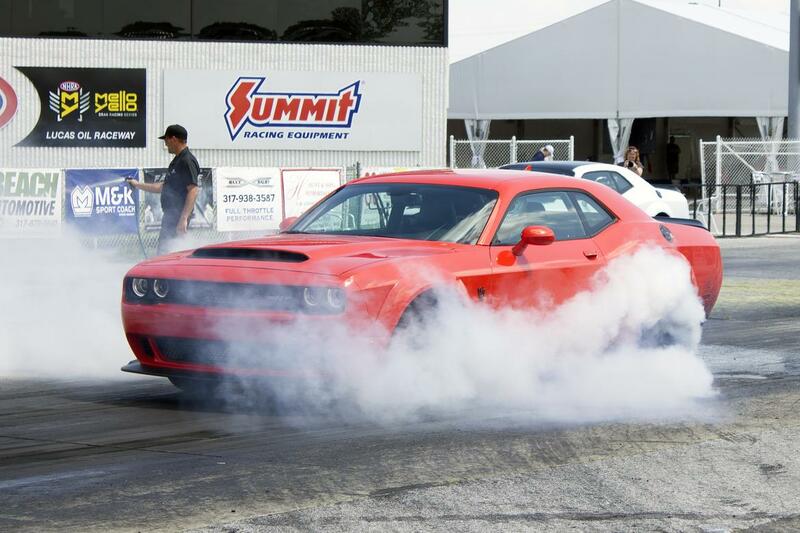 given the sheer thrill of driving an 840-horsepower dodge challenger srt demon, even if you're just going to the grocery store, i have no idea why you'd ever want to put it in cruise control. yet the demon — along with fellow fiat chrysler automobiles products in the chrysler 300 and dodge charger — is part of a recall that could create a crash from just such a cruise. fca is issuing a recall for some 1,900 chrysler 300s, dodge challengers (including those 2018 models with the demon crate) and dodge chargers that involve a mopar powertrain control module, a computer that effectively manages a few different vehicle operations — one of them being cruise control. without this repair, the pcm could contain a defect that prevents cruise control from disengaging. trackside or not, there's no good way that can end. and if you've already forked out 86 large for a demon, imagine the repair bill at the end of the drag strip, let alone at the side of the road. for such an easy remedy, you can probably afford to live without cruise control until it's fixed. the problem: the pcms are being recalled to address a defect that could prevent the cruise control system from disengaging. if, when using cruise control, there's a short circuit within the vehicle's wiring, the driver may not be able to shut off cruise control either by depressing the brake pedal or manually turning the system off once it's been engaged, resulting in either the vehicle maintaining its current speed or possibly accelerating and increasing the risk of a crash. the fix: dealers will either perform a software update or replace the pcm for free. what owners should do: chrysler and dodge parent company fiat chrysler automobiles will begin notifying owners on aug. 31. owners can call the automaker at 800-853-1403, the national highway traffic safety administration's vehicle-safety hotline at 888-327-4236 or visit its website to check their vehicle identification number and learn more.